Located In the medina. A five minute walk to “the place” - Jemaa el Fna , the mosque - Koutoubia and the new town - Gueliz. Family run for selected clients who look for quiet, the splash of fountains, the warbling of birds, relaxation and rest. 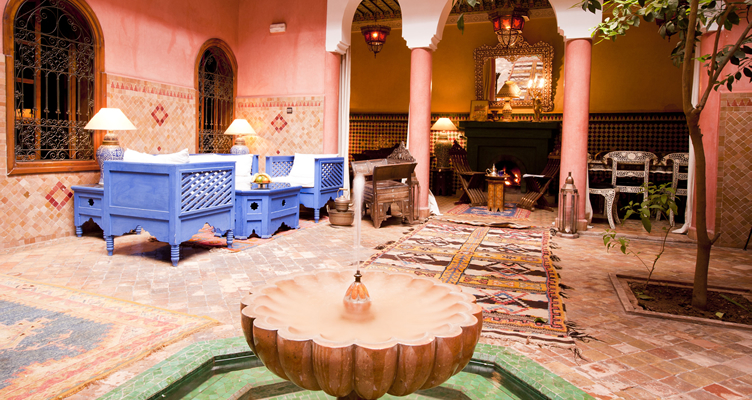 Just outside are the sites, restaurants and bustling activity of fabulous Marrakech. Town's biggest and most famous hamam El Bacha next door!